OTTAWA — The federal government failed to spend $2.14 billion that was earmarked last year to rebuild roads, bridges and other large-scale projects aimed at helping people in their day-to-day lives, newly released documents show. 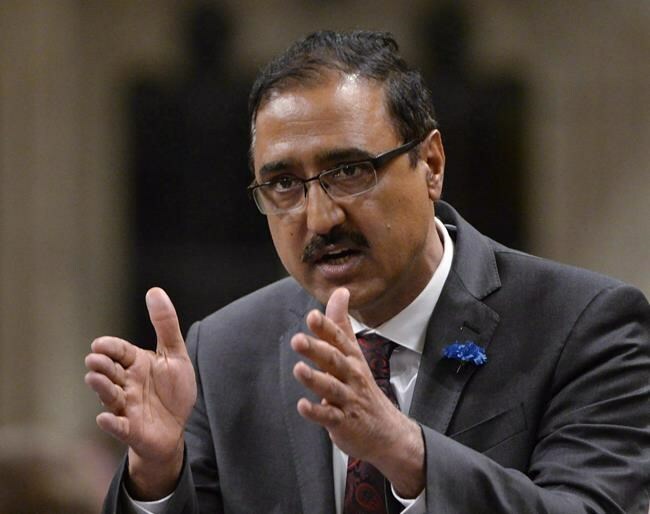 The recent department report shows spending from Infrastructure Canada was about 40 per cent lower than the $5.3 billion that had been planned for the last fiscal year, which ended March 31, 2017. The largest chunk of the spending shortfall was $1.48 billion that didn't get spent on various large-scale projects, representing about 90 per cent of what the government expected to spend on things like new transit and water systems, two key areas of focus on the Liberal agenda. It's not clear from the documents how long it's expected to take for the money to actually flow to projects. The figures help to illustrate the magnitude of a problem that has plagued the Liberal government's multibillion-dollar infrastructure program from the outset: they can't seem to get the money out of the federal treasury fast enough. The government — which typically does carry about 25 per cent of its infrastructure from one project to the next — says it's simply managing the flow of cash to projects. Opposition critics, on the other hand, say the idle money is symptomatic of problems with the program. Federal dollars only flow once cities and provinces submit receipts for reimbursement, often creating a delay between when work takes place and when the federal money is spent. In some cases, the federal government won't receive receipts until a project is completely done. In other cases, projects are delayed because of labour strife, bad weather or other factors beyond Ottawa's control — a factor last week's departmental report warns readers about. The report also shows that the government moved $591.8 million into a fund for small communities, boosting its value to $1.5 billion. It says the federal government has given provinces and territories an ultimatum: identify projects for all the money left in the program — created by the previous Conservative government — by March 31, 2018, or watch it go to muncipalities through what's known as the federal gas tax fund, established in 2005 to provide a stable, predictable source of annual federal infrastructure dollars.